"We first introduced the MC cartridge "Sumile” in 2016. We are highly confident of its performance because great efforts have been invested in its development. 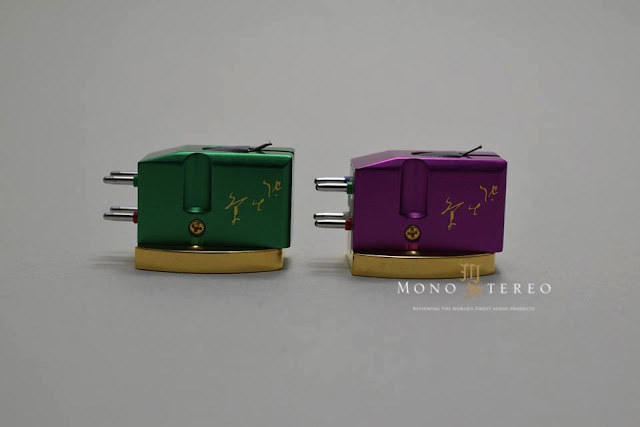 However, the playback of stereo records and that of mono records require cartridges with different specifications. Fewer record enthusiasts have the chance to listen to mono records because many are more accustomed to stereo records. Having said that, mono records still boast irreplaceable value because a large number of renowned performances and recordings are only available on mono records. “Sumile” and “Sumile-mono” have many common components. For example, the base part, made of stainless steel (including gold plating), is exactly the same in both products. Although harder to process, the incorporation of a stainless steel base has yielded amazing results even with mono records. As for visual impact, we have also modified the design to bring you a brand-new housing. This color choice was inspired by the Japanese national treasure folding screen titled “Irises,” painted by Ogata Korin. (Ogata Korin was a famous painter from the Edo period.) The combination of the golden base and green housing on “Sumile-mono” will please the eyes of its owners even when not in use. The contents of housing are also quite different between “Sumile” and “Sumile-mono.” This difference does not lie merely in stereo and mono specifications. 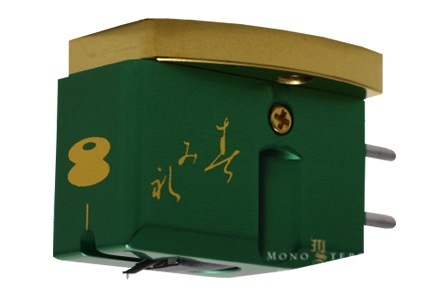 We believe that the cartridge’s output voltage can greatly influence the sound. Changes in output voltage transform not only the volume but also the sound quality. 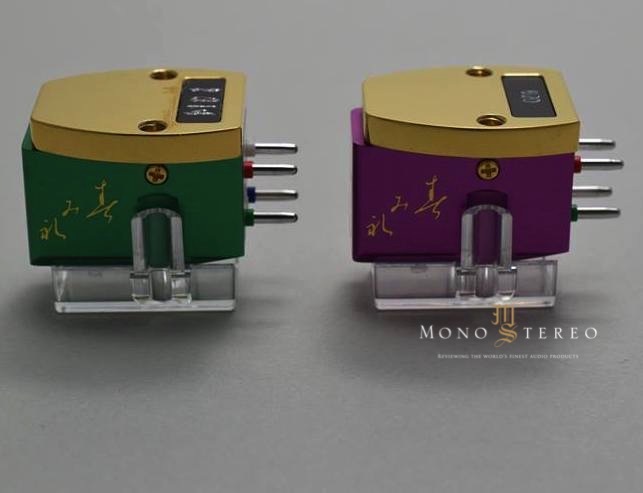 Consequently, “Sumile-mono” has been adjusted to obtain a higher output voltage than that of “Sumile” (“Sumile” is 0.35 mV, whereas “Sumile-mono” is 0.4 mV). Despite higher impedance as a result of an increase in the number of turns per coil, we are proud to say that this product has brought ideal sound to life."